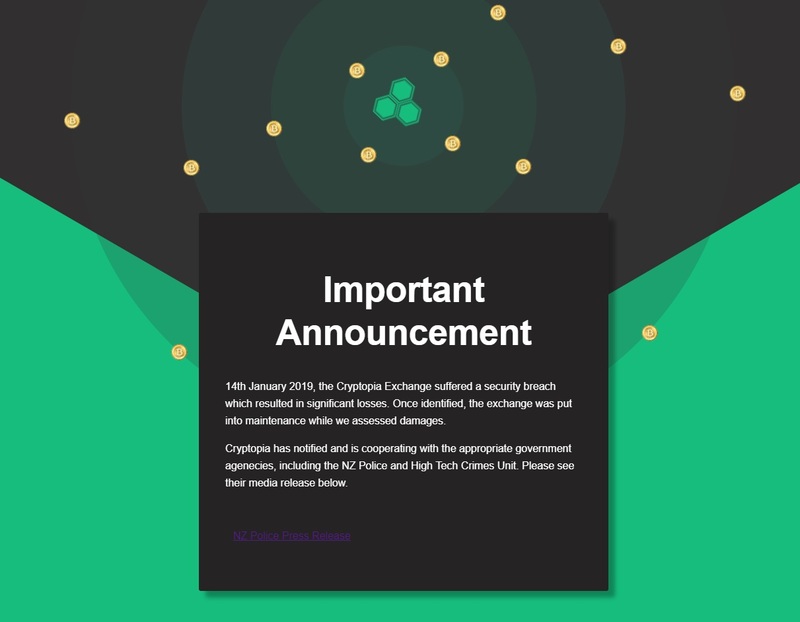 Beginning around January 5th traders began to have problems making transactions of the Cryptopia exchange. This impacted the BTC, Dogecoin and other cryptocurrencies and Cryptopia later tweeted on January 8th “Our BTC Wallet is now back to normal. Thank you everyone for your patience.” During December 2018 the exchange also had many problems and issues, which is a big deal for an exchange of this size. Police were advised late yesterday of an issue involving potential un-authorised transaction activity at the Christchurch based crypto-currency trading company Cryptopia. A significant value of crypto-currency may be involved and Police are taking this very seriously. We are currently talking to the company to gain a further understanding of what has occurred. A dedicated investigation team is being established in Christchurch including specialist police staff with expertise in this area. Police are also liaising with relevant partner agencies in New Zealand and overseas. We expect to provide an update tomorrow. 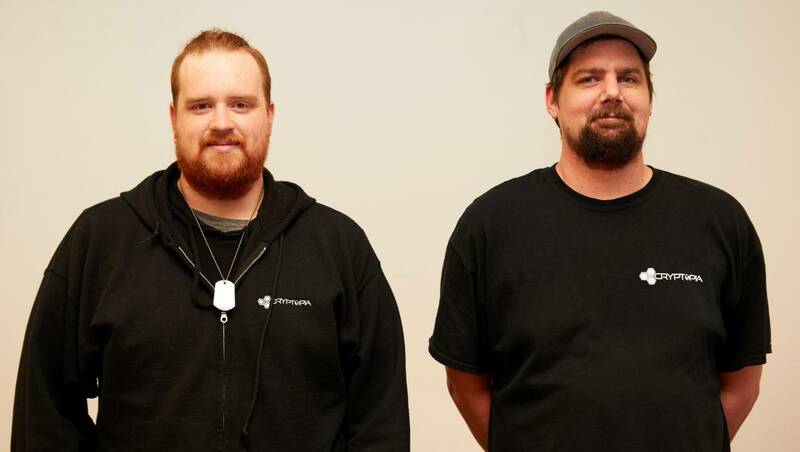 The investigation into the alleged unauthorised transaction of cryptocurrency at the Christchurch company Cryptopia has continued today. 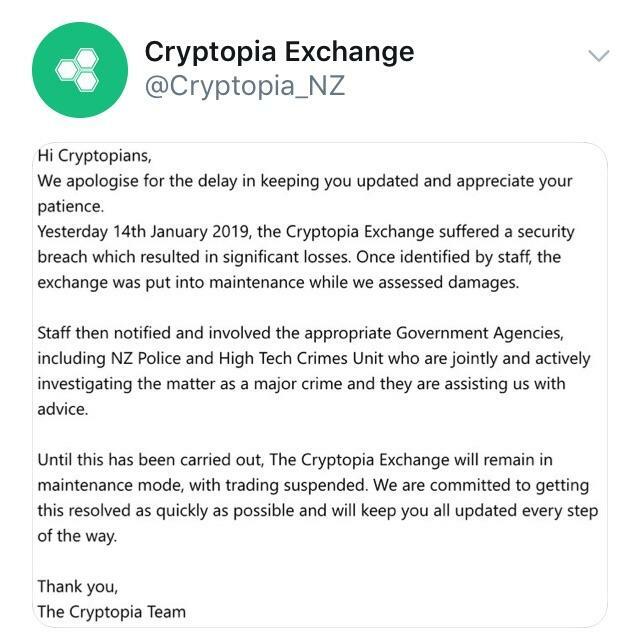 The inquiry is still in its very early stages and police are continuing to work with Cryptopia to establish what has happened and how. Police are not yet in a position to say how much cryptocurrency is involved, other than it is a significant amount. A large team, including Canterbury CIB and specialist staff from the police High Tech Crime Unit, have been assigned to the case. There has been a visible police presence at the company’s Colombo Street headquarters throughout the day as police take the steps needed to progress the investigation. While police are unable to go into details about specific steps being taken at this stage, we can say that our focus includes commencing both a forensic digital investigation of the company, and a physical scene examination at the building. We are dealing with a complex situation and we are unable to put a timeframe on how long the investigation may take. We are also aware of speculation in the online community about what might have occurred. It is too early for us to draw any conclusions and Police will keep an open mind on all possibilities while we gather the information we need. A priority for police is to identify and, if possible, recover missing funds for Cryptopia customers; however there are likely to be many challenges to achieving this. We would also like to make clear that Cryptopia are cooperating fully with the investigation team and a media report that police ‘stormed’ the building today is entirely incorrect. So Was This a Scam or a Hack? It’s hard to tell at the moment if this was some kind of scam done by Cryptopia founders Adam Clark and Rob Dawson or by some other entity from within the exchanges firm or if this was a genuine hack and what the hell exactly happened. Until now there has been no information regarding the amount of money stolen / lost. Using the Google API we can quickly find that the keyword “Cryptopia Scam” is searched 880 times per month o average over the past few months. 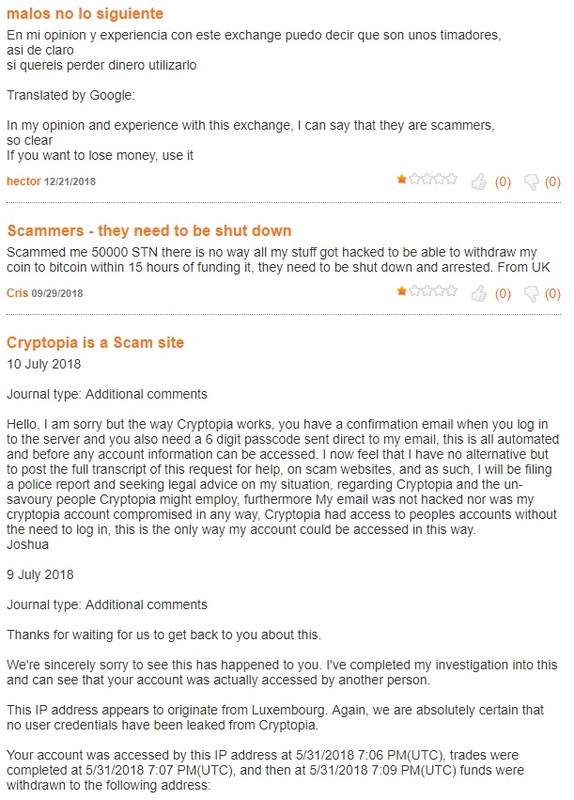 Furthermore many forums, review sites and bloggers have warned that Cryptopia may be a scam. Here is a screenshot of the comments section from forexbrokerz.com website user comments. Here we can see that either the firm may be in fact engaging in scammer like behaviors and tactics with clients, although anyone can post comments on the internet without any real proof. CryptoBitcoinChris also posted a YouTube video titled “Exit Scam Or Hack – Cryptopia Exchange” Which Some of you may find interesting. What we can say for sure is that it was either a hack or a scam. The public is currently still waiting for updates from police as many people had most of their crypto assets still deposited with the exchange before it went into maintenance mode.